Granny Flats continue to soar in popularity, according to the Australian Bureau of Statistics (ABS) approvals for secondary dwellings in 2014/2015 jumped by 20%. That t rend is set to continue in 2016, with Granny Flats becoming more stylish, functional and versatile. No longer are Granny Flats a fancy DIY back garden shed. Granny Flats have had a makeover, so has their name. Granny Flats are now often referred to as Micro homes, studios, pods, teenager or parent retreats. This name change reflects their revival, their versatility to serve as a young couples first home, a families new affordable home, or of course, Granny’s retirement home. 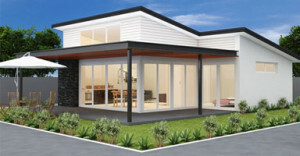 A Granny Flat can simply be a smaller version of a traditional home, the size will be reduced but so will the expense. When planning a Granny Flat it is important to speak to a Qualified, Specialist Builder who can offer you tailored advice, new and innovative design ideas and support you throughout the entire process.